Cruise to the Summer Isles. Play on the shores of Loch Broom. Ferry from Ullapool to the Hebrides. Best Wee Festival in the West!. Onene of our musical festivals. Tamarin is situated 1 mile from the center of Ullapool on Braes hill with stunning views over Lochbroom and the surrounding area. The accommodation consists of double, twin and single en suite rooms with breath taking views over Lochbroom and the surrounding mountains. Situated in Braes on the outskirts of Ullapool, on the hillside over looking Loch Broom. This is possibly the last unspoiled environment left in Europe. A paradise of clean land, sea and air for walkers and climbers, fishermen, bird-watchers. Ullapool is surrounded by spectacularly beautiful scenery, but there is much more to do here than take photographs. Contact us by phone 01854612667 or email richardsmith938@btinternet.com. 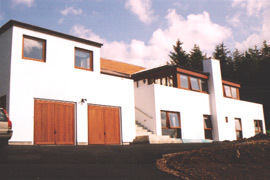 Looking for Self-Catering in Ullapool? 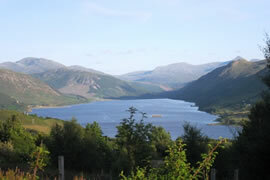 We have accommodation at Balone House and Ullapool Flat.